I recently attended the International Franchise Association’s Annual Convention (IFA 2019) in Las Vegas with my colleague Allan Greer. This was my first time at IFA, which is a bigger conference, with a broader franchise focus than the consumer marketing franchise events I regularly attend. 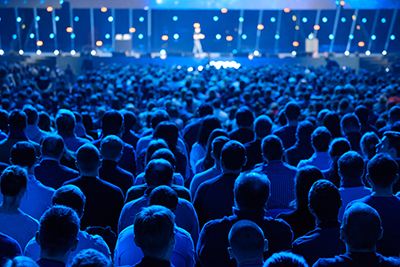 What I liked about IFA 2019 was the chance it provided to learn more about the various roles within franchisor organizations and the challenges they face. One of the key themes that I found particularly interesting was franchise development – those individuals who work to bring new franchisees into the system. Allan and I had a great conversation with Samir Daoud, Franchise Development at Gold Star Chili and Tom & Chee, who shared his thoughts on the keys to selling to new franchisees. He said, first, you have to find someone who loves and has a passion for the brand. Then you need to be able to “demonstrate strong unit economics – strong such that they will be able to make money.” And lastly, is your support system effective? First-hand insights from franchise development professionals like Samir struck a chord with me – elevating the strategic importance of the marketing department and the work being done by the marketing team in building the brand and supporting franchisees. What follows are more of the highlights and biggest takeaways from my IFA 2019 experience. The conference featured a Marketing and Innovation Summit breakout with a keynote by David Graham, Co-Founder and CEO of Code Ninjas. Graham cited estimates that some 4,000 franchise brands are competing for just under 14,000 new franchisees entering the marketplace. With this level of competition, the question becomes, how do you get to be the brand that they choose? Graham suggested leaders at franchisor organizations need to build an effective team and rely on them. The leader’s goal should be to have time to think about growing your business. He also discussed the importance of managing support requests coming in from franchisees. This is a priority for many of Vya’s franchise clients, and it’s something our marketing resource management system has been designed solve. Graham’s organization uses a dynamic form to direct requests and track support tickets. Gary Vaynerchuk, popularly known as Gary Vee, is a serial entrepreneur, Chairman of VaynerX, and CEO and Co-Founder of VaynerMedia, a digital agency serving Fortune 500 companies. In his keynote speech at IFA 2019 he talked about the need to understand where the consumer’s attention is and then look at what is overpriced behavior and what is underpriced behavior – I interpret this loosely as overpriced and underpriced marketing channels. Hand in hand with determining the most effective channels is taking the time to develop contextual creative – creative that is highly targeted to the individual you are targeting. Franchisees should be given the freedom to operate at the local level without scrutiny from corporate, while maintaining brand equity, suggested Vaynerchuk. In our experience at Vya, providing customizable marketing materials through an automated marketing resource management system allows the local franchisee to “own” their marketing efforts and tailor materials to their local market, without compromising brand consistency. Vaynerchuk added that brand building is especially important as automated assistants proliferate and voice search grows. It becomes critical for consumers to ask their voice device for your brand, not just the generic product. In a breakout session, Kristen Pechacek, Director of Digital Marketing for Anytime Fitness, and Drue Townsend, SVP of Marketing for FASTSIGNS International talked about leveraging the best tactics, platforms and channels to satisfy location-specific marketing needs without losing focus on your franchise’s target audience. Among the key points they discussed was the fact that it used to take seven touches for the consumer to internalize or act on your message, now it’s more like 15-35. This need for increased and more targeted marketing clashes with franchisees’ priorities. In general, franchisees didn’t get into their business to do marketing – many have a passion for the product or service offering. This heightens the importance of providing effective marketing support, keeping things simple, and the need to be very clear about what your franchisees are responsible for from a marketing standpoint. A nice feature of the convention’s format was the facilitated round-table discussions in which attendees could choose a table with a designated topic of interest and join a focused conversation managed by a table moderator. I came away with a number of great insights from these discussions. Stacy Eley, Vice President of Franchise Operations at Suite Management Franchising suggested identifying core, non-negotiable marketing tactics that franchisees must execute. Require franchisees to submit receipts to show what marketing they have done. The regional support team is responsible for holding franchisees accountable for required marketing spend. Heidi Morrissey, President at Kitchen Tune-Up Franchise System, has set up a private Facebook group of franchisee marketing contacts. She issues a monthly marketing challenge to this group, with an award for the first to complete it. Identify what behavior you want to encourage and then have incentives or rewards for those behaviors. Include tactics in your marketing mix for franchisees that don’t cost money. Ask franchisees what defines the brand, then show them how their actions are either aligned or misaligned with that definition. I enjoyed the opportunity at IFA 2019 to get a more broad-based view of the franchise arena. The presentations I heard and the conversations I had with other attendees reinforced the strategic importance of the franchisor consumer marketing function to the franchise's overall success. 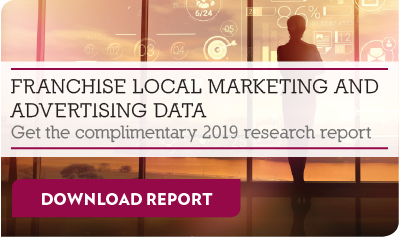 Franchise marketers touch each of the key aspects of attracting and retaining franchisees – building a brand people fall in love with, driving business at the local level and providing an exceptional marketing support experience.